I am planning my twin girls 2nd birthday right now and I will share all my ideas for their party soon. For now, I wanted to share what I did for them last year. We celebrated their 1st birthday with a butterfly theme. 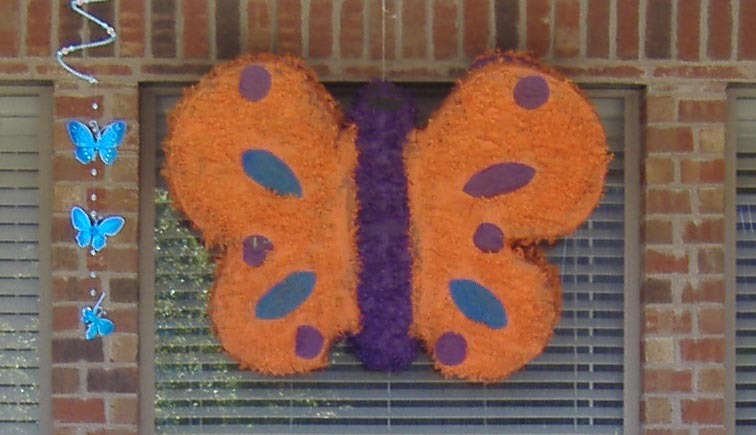 Their room is decorated in butterfly’s so I thought this would be perfect for their party especially since it was in the spring. 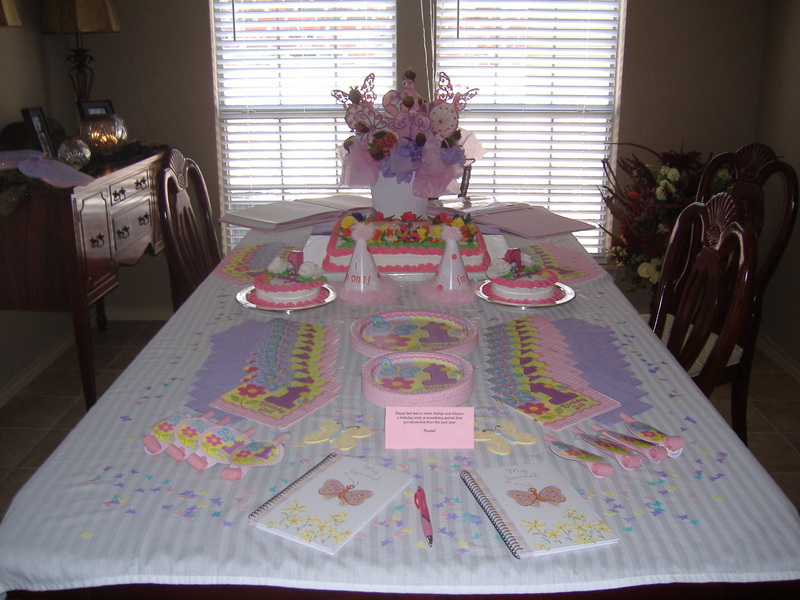 The table is set with a cookie bouquet, the cakes and books for the guests to write birthday wishes to each of the girls. Here is a closer look at the cookie bouquet. 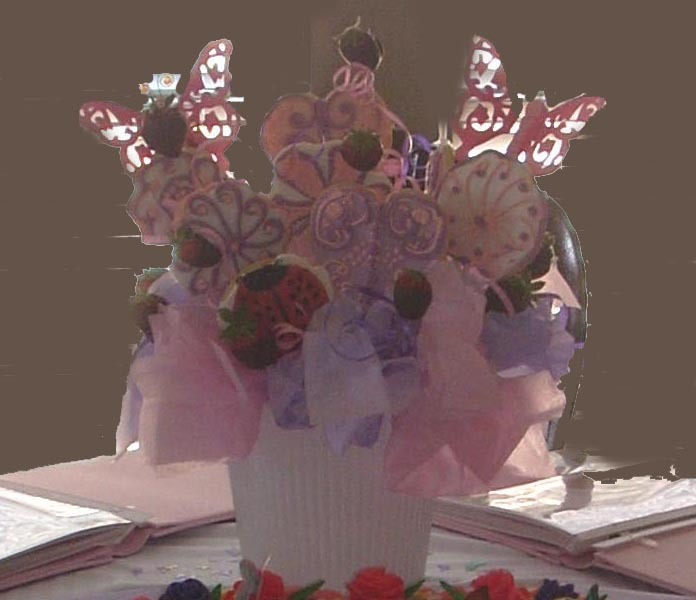 It has butterfly garden ornaments that are in the back with cookies cut out like butterflies, flowers and ladybugs. Next to the cookie bouquet are the girls baby books so everyone could see all that has happened in their first year of their life. 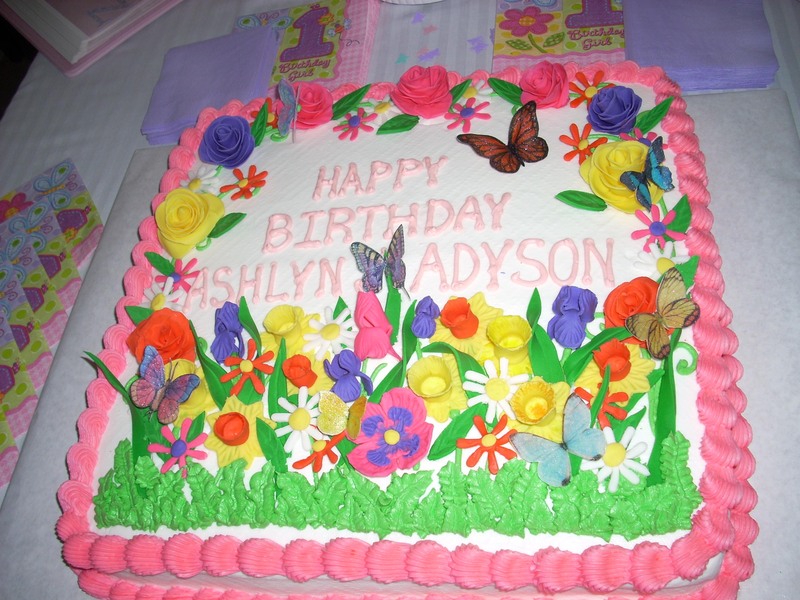 The cake is make with hand made flowers and edible butterflies. 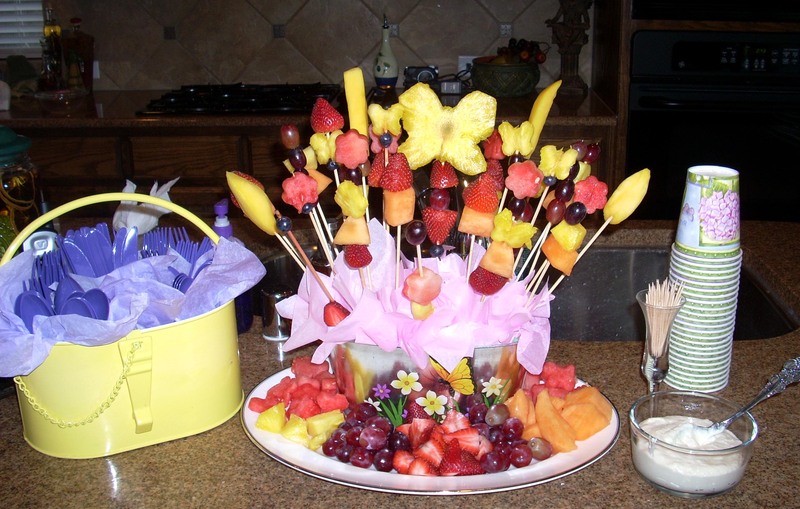 This is a fruit display with pineapples cut out like butterflies. 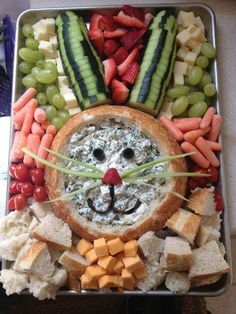 I also served cheese and crackers in the shapes of butterflies and flowers. When the kids arrived, I had activities ready for them like decorating foam butterflies. We always have a pinata at our parties and the kids love when it is time for the pinata. This isn’t a great picture but for party favors I bought butterfly nets and filled them with candy and spring toys for the kids. Unfortunately, both of the birthday girls were sick during the party with ear infections but I think everyone else still enjoyed the party! Aw this is such a sweet party! 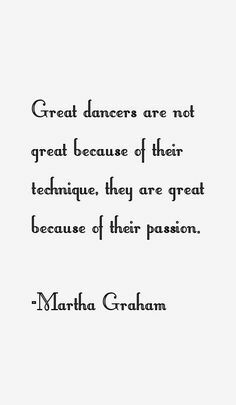 I can’t wait to see what you have planned for this year’s party!